If you're just starting to create three-dimensional objects, you probably don't need complex and expensive applications. 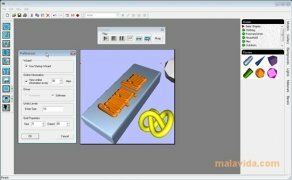 There are many free alternatives to get you started in the 3D design and modeling world, like 3DPlus for example. 3DPlus is a basic tool for 3D design, that without any previous knowledge, will allow the user to create amazing three-dimensional graphics in a few minutes. What's more, you can use if free of charge in your house, school, or company. - Guided assistant to make both a 3D design and animation. - Quickly generate lots of 3D shapes. - Extensive library with materials, patterns and textures. 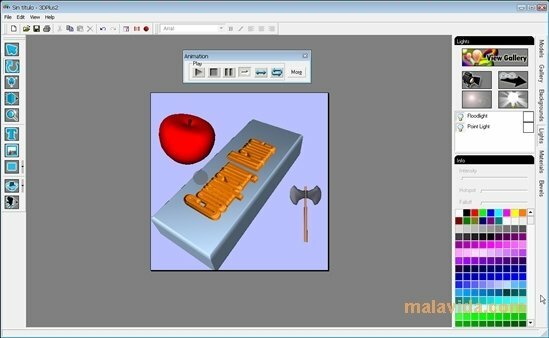 The best application to create your first three dimensional objects is 3DPlus. You have to fill in a free registry to use the application.